Montreal Gazette stories at Techdirt. If you follow the news for gruesome murders, you're probably well aware of Luka Magnotta, the Canadian who's been accused of killing Lin Jun -- filming the entire thing (and posting it online), then dismembering the body, eating some of it, and sending parts of it to various political offices (separately, he was also accused of making a series of videos in which he tortures and kills cats). Either way, he's become something of a news sensation -- and after a relatively short manhunt, was tracked down and arrested in Berlin. All of that, of course, has nothing to do with stuff that we normally talk about here. “As I am sure you can understand, this image is highly denigrating to our brand, and we are disturbed that this image remains on your site despite repeated requests and the many images available of this person,” Karyn Sullivan, Labatt’s associate general counsel, wrote in a letter to the Gazette. Of course, as even the article about this explains, Labatt is "exacerbating the damage" by not just mentioning it, but threatening to sue to get the picture taken down. There's simply no legitimate legal issue here. 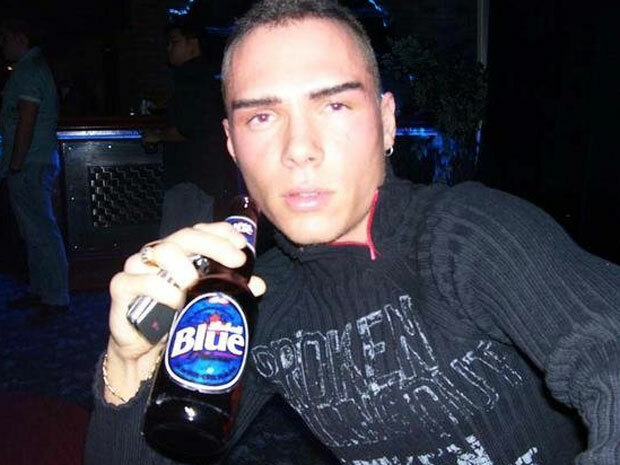 As the Gazette properly pointed out in response: "The image originally appeared on Magnotta's personal Facebook page and on his blog and thus is newsworthy. There is no connection made between the brand and the suspect in the accompanying caption, headline or news story." Except that, now that Labatt has threatened to sue, there is a connection. If someone at Labatt had simply understood the very basics of the Streisand Effect, they would have known better. It seems like perhaps Labatt should spend a bit more time hiring better lawyers, rather than worrying about a photo of an accused killer drinking its beer.